1. 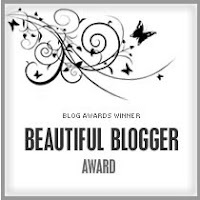 Thank the person that nominated you and link to their blog. Well I have been nominated for this a few times in the past week or two, and so I thought I'd do a multiple acceptance post to combine them! 2. Tell us how the idea of making a blog popped up and what makes you continue it? 3. Describe a usual day in your life. Well at the moment I'm sick so I'm signed off work, but usually a day in my life during the week would be getting up at about 6 am, showering and getting ready for work. My boyfriend Jon drops me off to work at a breakfast club at a local school. I arrive at 7.15 am and set up activities for the children, they start arriving at 7.30 and I help to give them breakfast and play with them until its time to drop them off at school at about 8:50 am. I then leave work at 9 am, and come home - I do household chores, get in some internet time, watch tv, have lunch, etc. I also spend some time doing bits & pieces for my side business. Then at about 2:45 I head back to work again for the after school club, I start work at 3.15 and again - its all setting up activities, keeping the kids entertained, serving them snack, etc. I finish work at 6.15 and come home, usually make dinner and then spend the evening with Jon - we usually watch tv or a movie, chat, I do my nails, etc. If its the weekend, I tend to have a lie in and either I'll have a party to do that day (I have a party planning/childrens entertainment business on the side) or we'll go out somewhere. 4. The best collaboration with a blogger. 5. The worst collaboration with a blogger. 6. Describe what having a blog means to you. I'm going to be doing my own mini breakfast club with my friends 4 children from September, plus having Gracie too, it will be fun!